Usually, the Crazy Train is the P5 family. But sometimes, we throw our nearest and dearest into the fold and enjoy whatever chaos ensues. But yesterday was different. I’m happy to introduce– in addition to The Official P5 Line– the estrogen infused, JNJ Line of the Crazy Train. 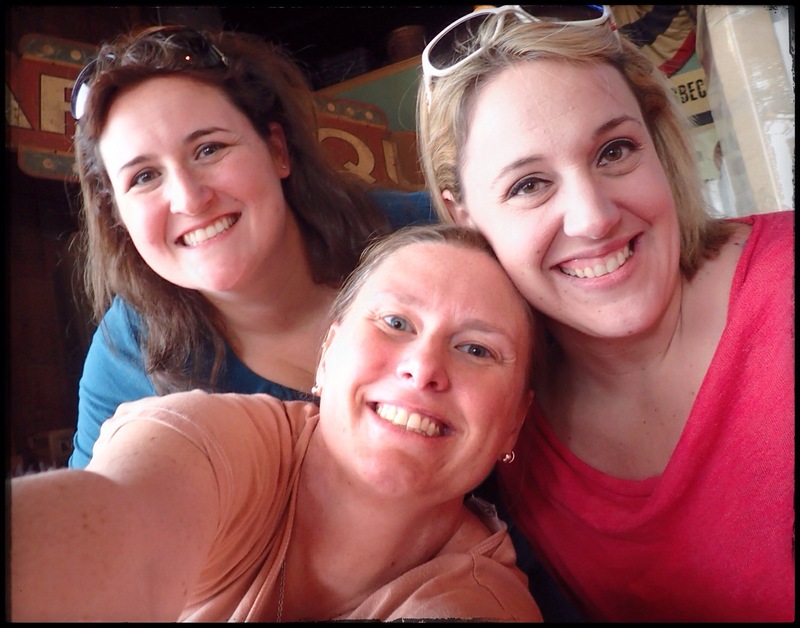 I took my BFFs Nicole and Jessica (and Jess’ son Pierce came along as the official caboose) to a typical half-day run of a Crazy Train Roadtrip, and let’s just say…. well… let’s just say that we already have the next one planned. We sent our kidlets off to various institutions of foundational education and we hit the road, bound for the “ghost town” of Friendship Community in Williamson County. 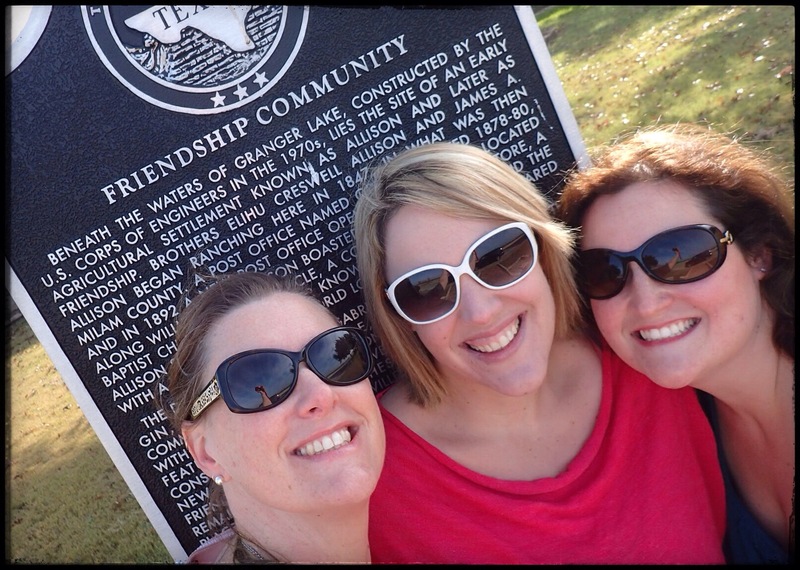 Friendship isn’t really a ghost town, per se, since the ENTIRE TOWN is now completely submerged underneath Granger Lake. (Usually, when the three of us are submerged, it’s usually in a glass of wine, but I digress…) Granger Lake was constructed by the US Corps of Engineers in the early 1970s, creating this massive lake that is a really popular place when it’s a thousand degrees here in the summer. 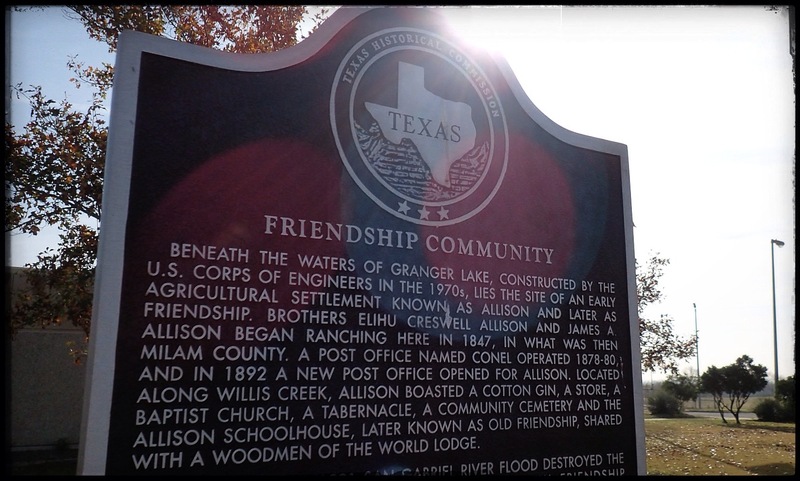 The town of Friendship was founded in the 1880s by Czech immigrants. By the 1920s, there was a small community with a school, grocery store, post office, churches, a cotton gin, gas station, a beer joint, and a paved road: FM 971. The MK&T Railroad even had tracks and a bridge through the immediate area. Friendship’s downfall was probably what drew the Czechs to the area in the first place: the San Gabriel River. A severe flood in 1913 caused widespread damage, a deadly flood in 1921 took several lives, and a third destructive flood in 1958 was the straw that broke the camel’s back. Finally, it was decided that it just wasn’t worth it– the San Gabriel apparently wanted Friendship so badly, the people decided that it could have it. Everything and everyone relocated and the dam and lake plans began. Since a lot of Friendshipians (Friendshipites? Friendshipidians?) had moved over to Granger, we decided that should be our next stop. 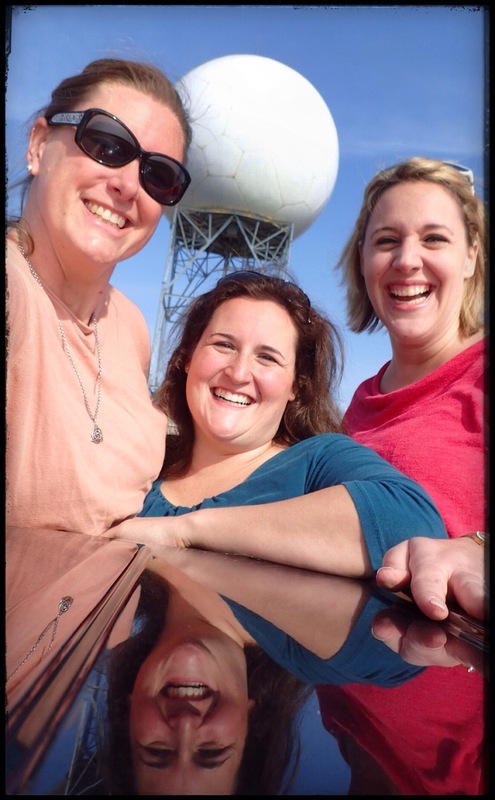 After a quick photo op at a water tower that looked just like a volleyball– OF COURSE we stopped for a triple selfie, THROUGH THE SUNROOF, because, well, why not?– we headed off to Granger. Yet, although Granger was not underwater, there didn’t appear to be anything open on a Tuesday morning. With a population of 1,419, we hoped Granger had something to offer in the way of mom and pop shops, junking, or a cool old diner or something, but no dice. Not even the Watern’ Hole Feed Bag was open. (So sad. 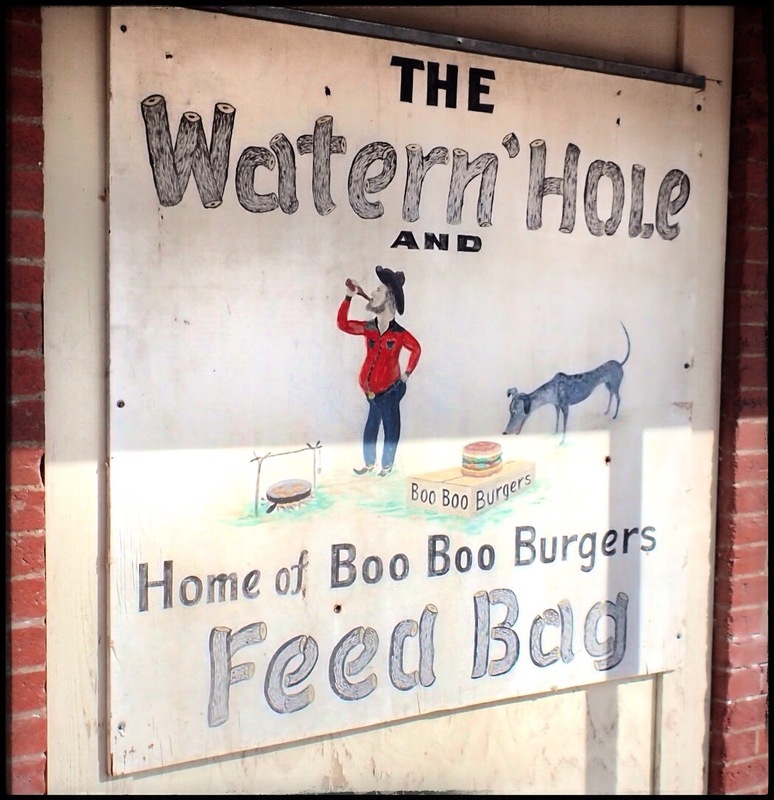 We really wanted to know what a Boo Boo Burger was. Granger is such a picturesque town, the setting for all kinds of movies, I’ve heard. But not much I the way of businesses. I’ll have to go back and explore a little. And, since we blew into Taylor at the EXACT moment Louie Mueller opened for lunch, we felt it was our DESTINY to carpe diem and see what kind of delicious Q we could score at 11:03am on a Tuesday. Every time the P5 Crazy Train has even attempted Louie Muellers, the “Sold Out” sign has been on the door and the parking lot has been empty. We decided to strike while the pit was hot! I did feel a little guilty about hitting up Louie Muellers without the hub, but the sweet smell smoke wafting from the building quickly snuffed out those feelings! 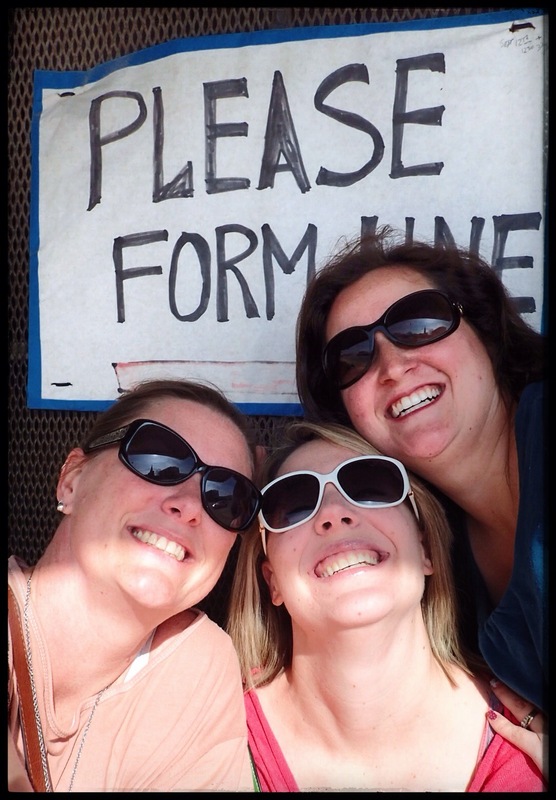 As we walked in, there was no line…. NO. LINE. 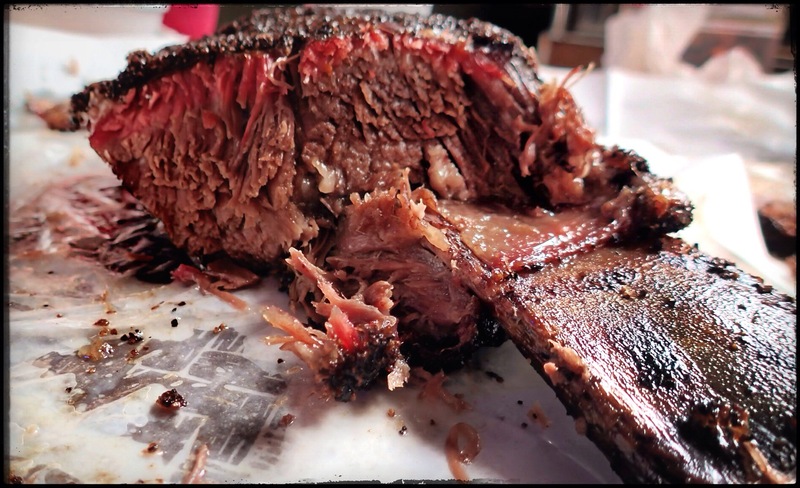 And on our journey to the counter, I caught a glimpse of a beautiful beef rib. It would be mine. Oh yes. It would be mine. 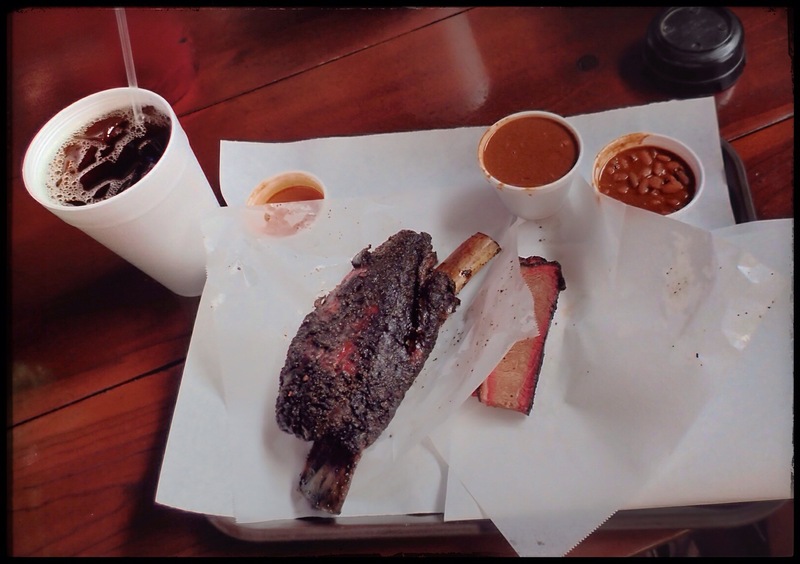 So, Nic and I decided to share the 1-1/2 POUND beautiful beef rib, and we threw in some beans and a slice of lean brisket for each of us, because, well, it’s kinda mandatory. And damn. It was good. However, even two fat chicks with eyes the size of serving platters couldn’t polish off that single rib. We gave it the good old college try, but, no dice. The rib defeated us. But before we called it a day and returned to reality to retrieve all the little people, we hit a few junk shops and found some treasures. I scored some pretty little amber pieces for my yellow kitchen, and Nic made an epic score of her own. Then back to reality. Until Friday, that is.